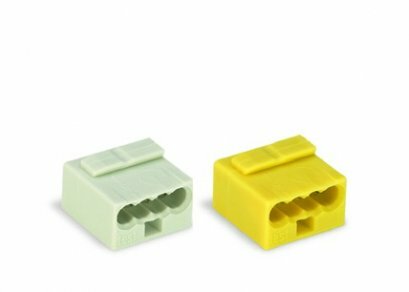 In addition to its 273 Series junction box PUSH WIRE® connectors for solid conductors, which have proven themselves billions of times over, WAGO now offers a new generation of products with its 773 Series for solid conductors with cross-sections up to 4 mm². 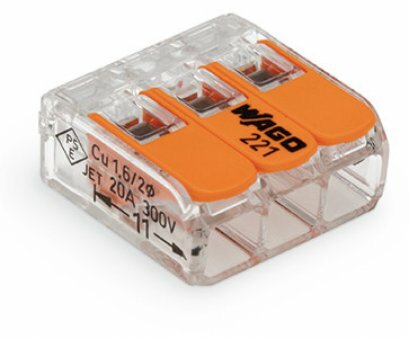 The WAGO 273 Series PUSH WIRE® connector for junction boxes, with up to 8 clamping points for solid conductors, is the best selling connector in the world and has proven itself a billion times over. 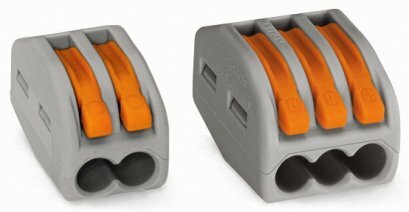 The classic among PUSH WIRE® connectors – for more than 30 years running. Reliability and safety made it the Number 1 by far! 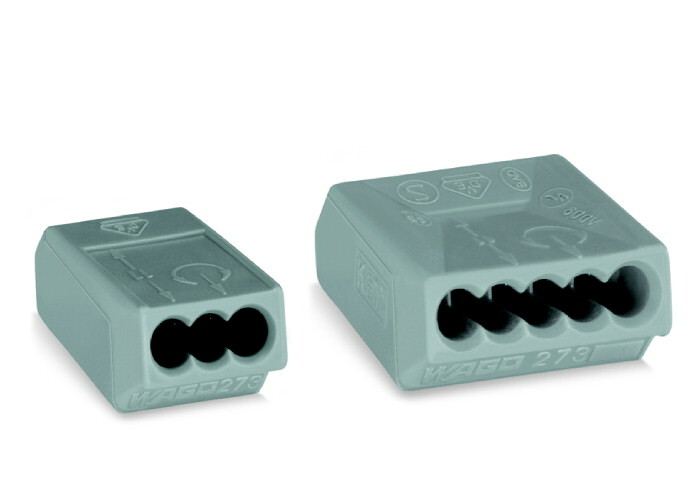 WAGO's 773 Series PUSH WIRE® connectors for junction boxes now provide an immediate solution for use with solid conductors with cross-sections up 4 mm². This new series, with its compact design, uses 30 % less space than the 273 Series. 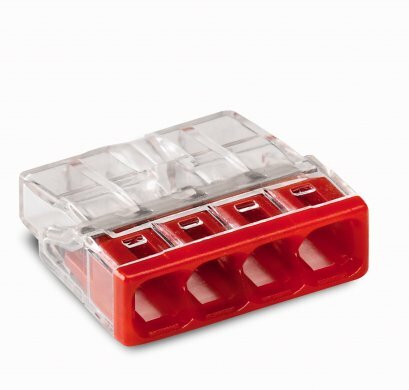 The transparent housing also enables the electrician or installer to see at a glance whether all the conductors have been fully inserted and properly connected.